KEN YUSZKUS/Staff photo. Beth Tobin stands near a large mural that portrays her at work in the lower left of the painting. 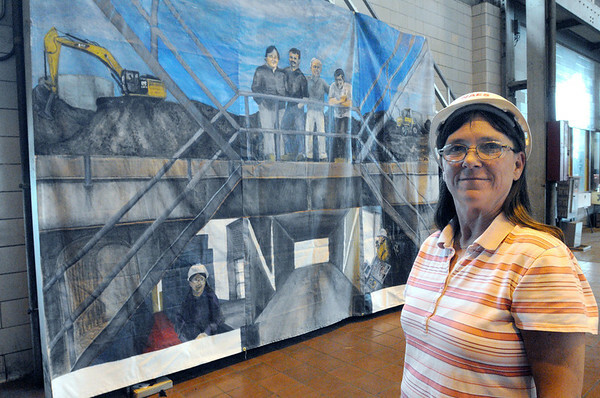 The mural is part of the Montserrat College of Art student's art show inside the Salem Power Plant. 6/9/14.